Vantaggio coreano al 18esimo con Pak Kwang Ryong pareggio degli Emirati Arabi Uniti con un rigore, a dir poco discutibile, di Hussain. Posted in Senza categoria and tagged nazionale olimpica on giugno 24, 2011 by calciocorea. Posted in Senza categoria and tagged nazionale under 17 on giugno 23, 2011 by calciocorea. Pareggio amaro per la DPR Corea negli Emirati Arabi Uniti, nel ritorno del primo turno del torneo pre-olimpico. L'1-1 dello stadio Tahnoun bin Mohammed Stadium di Al Ain qualifica gli arabi, grazie alla rete segnata a Pyongyang all'andata. Posted in Senza categoria and tagged nazionale olimpica on giugno 23, 2011 by calciocorea. Il Leicester City ha confermato l'offerta al Bochum VFL per l'acquisto dell'attaccante Jong Tae-Se, attualmente in fase di riabilitazione per l'operazione al ginocchio. Il Leicester è attualmente allenato da Sven Goran Erikkson e milita nella Championship, la seconda divisione inglese. L'FC Basel, invece, si è detta interessata all'attaccante Pak Kwang-Ryong, che dopo 4 mesi di prova ha firmato per la prossima stagione con il Wil FC. L'FC Basel gioca nella prima divisione svizzera e ha partecipato all'ultima Champions League. Posted in Senza categoria and tagged jong tae se, pak kwang ryong on giugno 23, 2011 by calciocorea. Sven-Goran Eriksson's English Championship club Leicester City have reportedly made an offer for North Korean international striker Jong Tae-Se, according to Nikkan Sports. Japan-born Jong, 27, is currently on the books of German 2.Bundesliga outfit VfL Bochum who fell narrowly short of promotion during the 2010-11 season. According to Nikkan Sports, the Foxes have submitted an offer of approximately €750,000 to Bochum for Jong's services and are awaiting the German club's response. Former Kawasaki Frontale striker Jong, who trialled with Blackburn Rovers in early 2010, scored 10 goals for Bochum during the 2010-11 campaign. Eriksson is familiar with Jong after he coached Cote d'Ivoire against North Korea at the 2010 Fifa World Cup. The Foxes, who have Thai owners, currently have another Japanese-born player on their books in Samurai Blue midfielder Yuki Abe. Jong is currently back in Japan having undergone surgery on his right knee earlier this week. Posted in Senza categoria and tagged jong tae se on giugno 22, 2011 by calciocorea. Pyongyang, June 22 (KCNA) — The fourth round of the premier soccer league began at Kim Il Sung Stadium on Tuesday. Ten men's and eight women's teams are competing in the tournament. In the first-day matches, the Amnokgang girls defeated their Pyongyang rivals and the Rimyongsu girls their Ponghwasan rivals 2:1 respectively. The tournament continues until July 25. Posted in Senza categoria and tagged dpr korea league on giugno 22, 2011 by calciocorea. Wayne Rooney is one of best-known footballers on the planet, including in Asia following his glittering performances at the FIFA Club World Cup 2008 in Japan. Rooney starred as Manchester United lifted the trophy, collecting the adidas Golden Ball as the tournament's best player in the process. Another player who enjoys hero status in Japan is Jong Tae Se. Born in the Land of the Rising Sun, the 5'11 striker's parentage qualifies him to represent Korea DPR, for whom he is the undoubted star at international level. Though Rooney and Jong may appear to have little in common in terms of fame and titles, fans from the Far East have wasted no time in christening Jong as 'The Asian Wayne Rooney'. It was a nickname the modest 27-year-old took a while to get used to. "My playing style is more like Didier Drogba. I don't have the technical ability of a Wayne Rooney," he told FIFA.com in an exclusive interview. One thing Jong does have over his English 'namesake' is that while Rooney has never left his homeland since bursting onto the scene with Everton in 2002. The son of a South Korean father and a North Korean mother plucked up the courage to try his luck abroad by signing for German second division outfit VfL Bochum ahead of the 2010/11 season from J-League side Kawasaki Frontale. "Overall I'm really happy here. I like Bochum city centre and I enjoy going to Dusseldorf. There are plenty of Japanese there who I can go out with," explained the hardworking forward, who is determined to improve his German by taking lessons in his spare time. While the robust goalscorer did not suffer any major shocks, there were a few cultural changes to adapt to following his arrival from Japan. "At the start I thought it was really strange that they don't slurp soup here, but I've since learned to do the same. I was also surprised at how people greet me on the street. That doesn't happen in Japan, but I've started to greet them back." Jong's swift adjustment to life in his new abode showed through in his 2. Bundesliga performances. With ten goals in 25 league matches, the North Korean was Bochum's top scorer last season and more or less matched Rooney's record of 11 goals in 28 league games for Manchester United exactly. "I live 100 per cent for football here in Germany. That wasn't the case in Japan, where I was often distracted. I think I played well for my first season, even if I wasn't satisfied with the second half of the campaign. I couldn't really help the team as much as I'd hoped due to a number of niggling injuries," the striker said. The North Korean international is aware of his role as a pioneer and underlined the importance of setting an example to his fans back home. "I see myself as representative of North Korea, so I want to perform as well as possible." The Korea DPR coaching staff have no doubt been monitoring their star man's progress in Europe and will have been delighted by the 27-year-old's displays. Though he was brought up in Japan, the explosive frontman attended a North Korean school in Nagoya and went on to study at a university in Tokyo with close links to Korea DPR. "For me it was always clear that I'd play for Korea DPR if the national team ever came into the equation," said Jong, who made his international debut against Mongolia in 2007. The highlight of the striker's international career to date was undoubtedly the 2010 FIFA World Cup™ in South Africa. For the first time since 1966, Korea DPR had qualified for football's showpiece event and Jong appeared in all three of his side's group games for their entire duration. His tears of joy ahead of the Chollima's narrow 2-1 defeat by Brazil will live long in the memory. "It was really beautiful. I still can't actually believe I took part in a World Cup. It was a once-in-a-lifetime experience, but it was over too quickly. Our new target is to qualify for Brazil 2014 in three years' time." Another of Jong's ambitions is to test himself against the finest Europe has to offer at club level. "One day I'd like to play in the Champions League. Every footballer dreams of that, but that's all for the future. For now I'm concentrating 100 per cent on VfL," he explained. An appearance in Europe's premier club competition would certainly be a major step towards emulating the achievements of Wayne Rooney. And who knows? 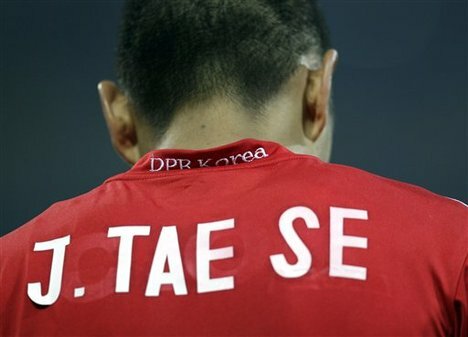 Perhaps Jong Tae Se will one day get the chance to pit his wits against the English superstar – or maybe he would prefer Didier Drogba. 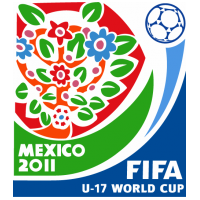 Posted in Senza categoria and tagged nazionale under 17 on giugno 22, 2011 by calciocorea. Posted in Senza categoria and tagged nazionale olimpica on giugno 22, 2011 by calciocorea. La DPR Corea sfiora l'impresa contro l'Olanda. Sfida tra campioni continentali a Morella: DPR Corea, campione d'Asia, contro Olanda, campione d'Europa. Gli Orange si presentano in campo con tutte le loro stelle: grande fisico e tencica di buon livello. Primo tempo si chiude sullo 0-0 con poche emozioni, predominio territoriale sterile degli olandesi, che sfiorano il gol solo al 43 con un bel tiro di Ebecillo che il portiere An Kang-Chol tocca e fa carambolare sul palo esterno. Secondo tempo che si apre con una Corea più vivace che passa grazie ad un bel tiro dal limite dell'area del capitano Kang Nam-Gwon: al 48esimo è 1-0. Gli olandesi sembrano scollati e An Ye-Gun pensa all'impresa e lancia Jo Kwang in attacco per un contropiede più veloce. L'Olanda ci prova senza convinzione: per An Kang-Chol solo uno spavento con l'inserimento del solito Ebecillo, sventato con prontezza. La DPR Corea intravede la stanchezza degli avversari e prova a costruire qualche azione pericolosa, in particolare con gli esterni Ju Jong-Chol e Pak Myong-Son. Proprio da un'azione di quest'ultimo nasce un'occasione interessante che Kongolo riesce a sventare e rilancia l'azione offensiva: sul rapido capovolgimento Ro Myong-Song non riesce a trattenere la strapotenza di Gravenbach che supera il portiere avversario e deposita in rete (75esimo). Pochi minuti dopo è ancora Gravenbach a cercare il gol da distanza siderale ma An Kang-Chol compie una grande parata. I minuti finali sono all'insegna dell'arruffato arrembaggio olandese che non crea nessuna occasione da rete.